Learn how to make crystal beaded Easter eggs (reminiscent of Faberge eggs) for a holiday heirloom keepsake. 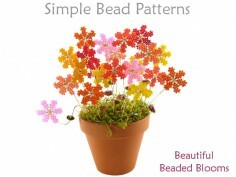 Over 150 bright, clear, close-up photos showing what to do - a photo for each & every step! 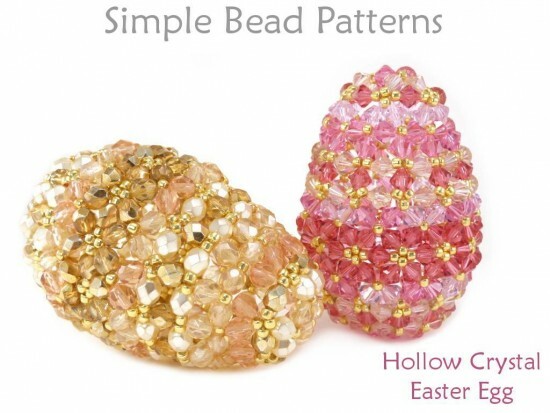 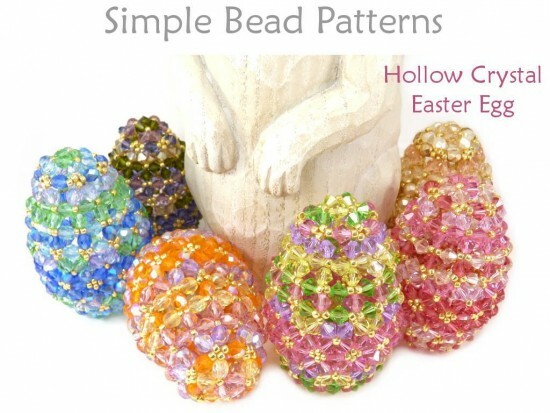 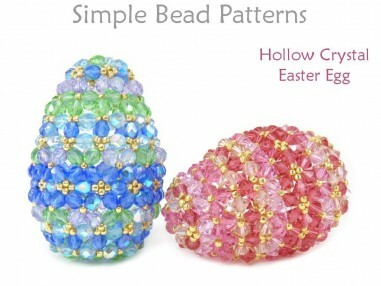 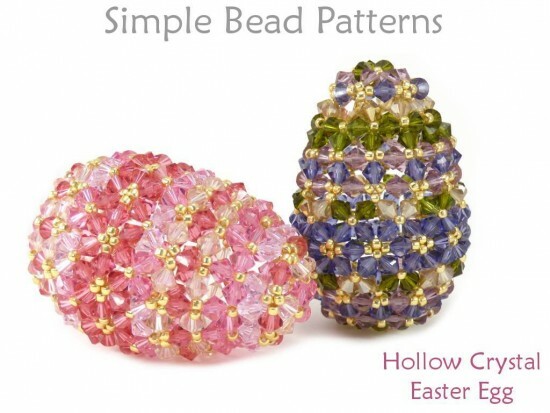 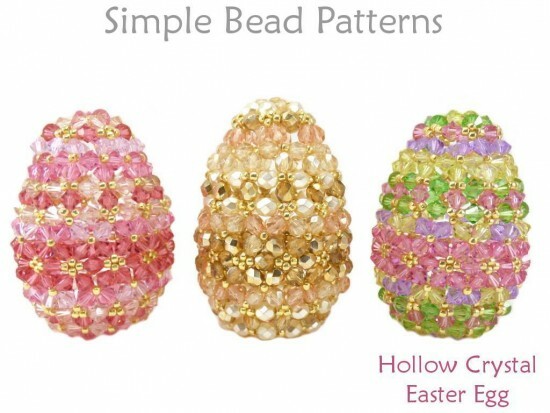 Add glorious color, sparkle, and elegance to your table this Easter with these truly amazing beaded Hollow Crystal Easter Eggs. 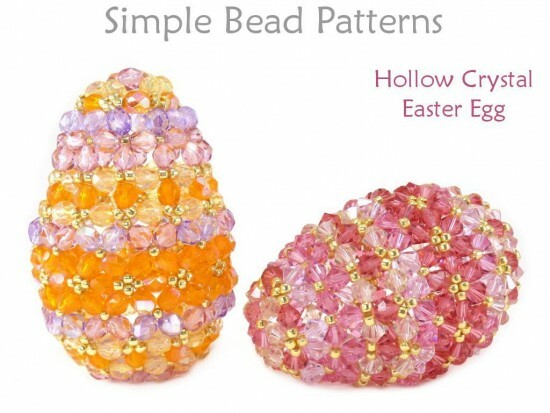 Inspired by the famous Faberge eggs, these dazzling and delightful beaded eggs are made with four colors of either 6mm crystal bicones or 6mm fire-polished beads and one color 8/0 Toho seed beads. 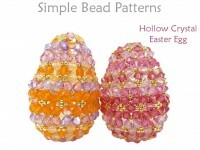 Firm and sturdy, these unique and impressive eggs are stitched up hollow, without the need for any type of form in the center. 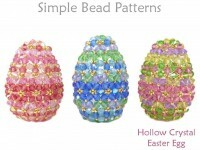 They can be displayed standing up on their own and/or laying on their sides. 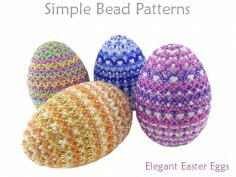 Just slightly larger than life, they are the perfect size with the crystal bicone eggs measuring 2” wide by 3” tall (5.1 x 7.6 cm), and the fire polished eggs measuring 2” wide by 3.25” tall (5.1 x 8.3 cm). 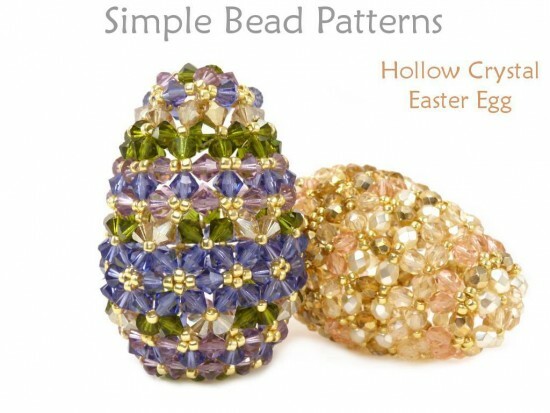 This simple beading pattern includes a detailed materials page, color information, over 150 high-resolution full-color photos and easy to follow step-by-step directions to ensure your success and enjoyment. While our instructions are suitable for a beginner, we recommend that you have some experience bead stitching for this project. Those who don’t have much experience working with crystals, will find the fire polished eggs a little bit faster and easier to stitch up (and equally lovely). 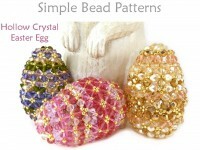 One egg (crystal or fire polish) takes us about a full 8-hour day to stitch up. 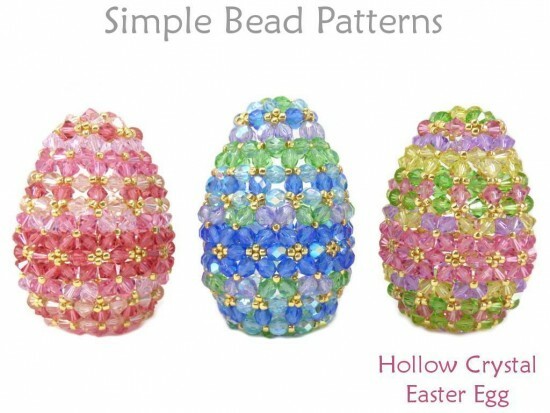 If you’re like us, you’ll get hooked after your first egg, and you’ll want to make more for yourself and your loved ones. 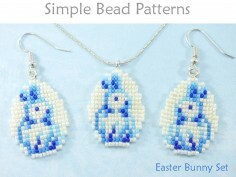 So, get hopping, because you’re going to impress the cotton tail right off of the Easter Bunny this year! 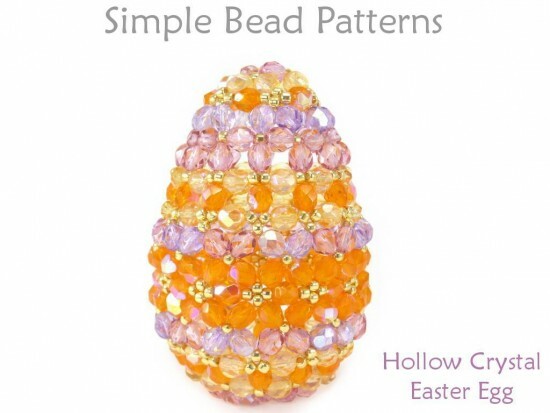 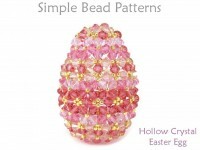 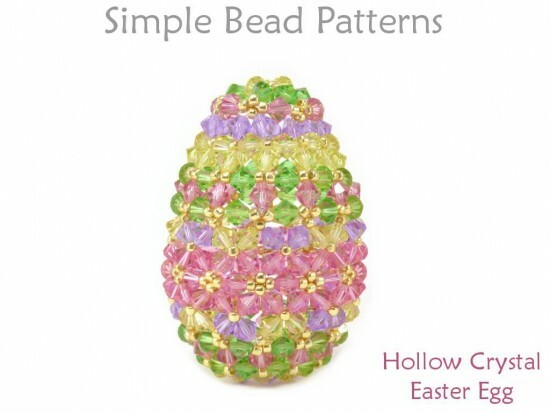 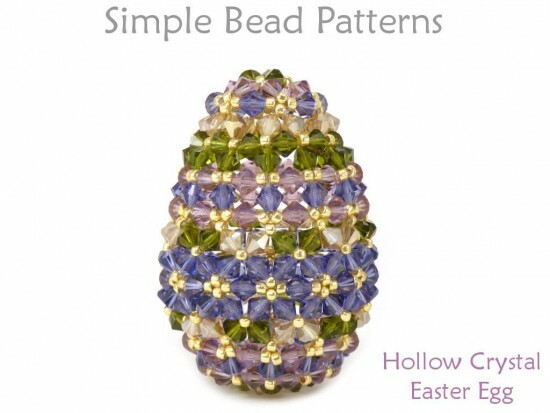 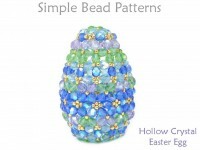 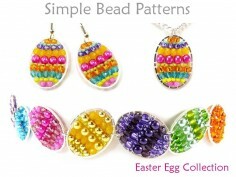 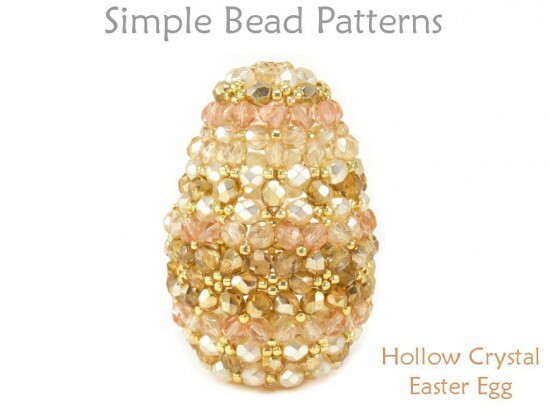 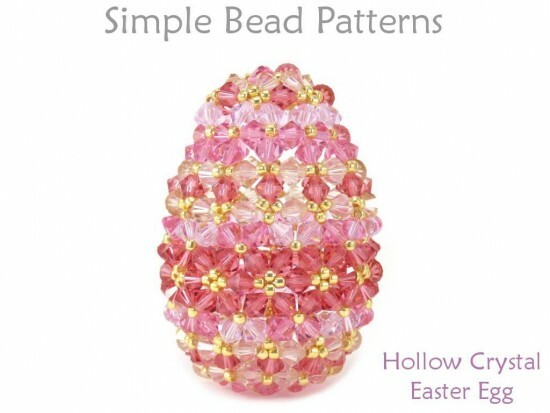 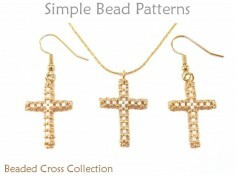 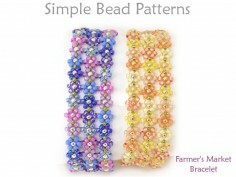 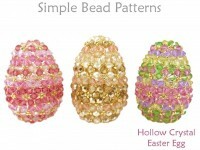 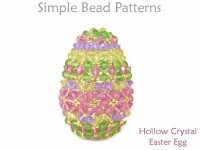 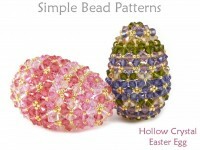 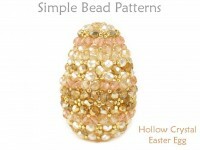 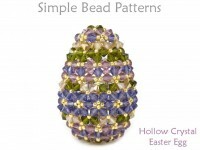 Thank you for shopping Simple Bead Patterns, and happy Easter!